The Seven Steps to Heal Your Thyroid gives you a Step by Step approach to get to the root cause of your thyroid problem and helps to find the solution along the way. 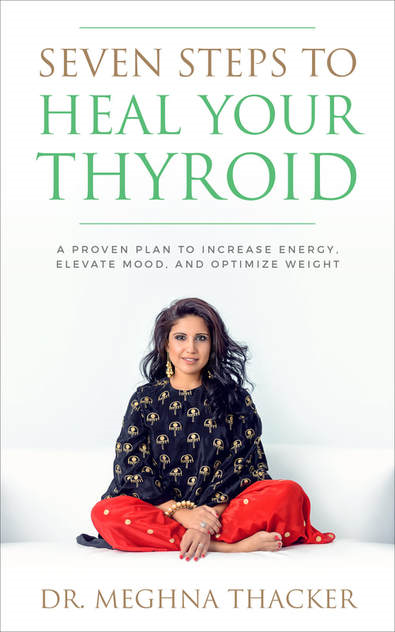 The Seven Steps to Heal Your Thyroid gives you a Step by Step approach to get to the root cause of your thyroid problem and helps to find the solution along the way. The first step begins with introducing you to how your Thyroid Gland works and which hormones does it produce and what influences its function. 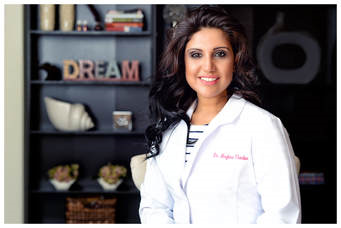 In step two, you will learn about the different naturopathic treatments to heal your thyroid problem. Step three will address the important role of our gut and how conditions like leaky gut are related to autoimmune conditions like Hashimoto’s Thyroiditis. Step four addresses the Environmental influences on the thyroid. In Step five you will understand why it is important to keep all the hormones balanced, not just the thyroid. Step six addresses the important aspect of stress and emotional health and its affect on the thyroid function and last but not least, Step Seven brings it all together by treating the person as a Whole. Finding the balance in Trinity of Life- Mind, Body & Spirit. You can connect with her on her website and Instagram. Disclosure: This is a spotlight post, I received no compensation for this post. All opinions expressed are my own. This entry was posted in giveaway, iRead Book Tours, iRead tour.